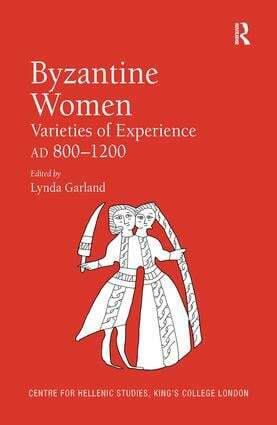 This volume brings together a group of international scholars, who explore many unusual aspects of the world of Byzantine women in the period 800-1200. The specific aim of this collection is to investigate the participation of women - non-imperial women in particular - in supposedly 'masculine' fields of operation. This new research across a range of disciplines attempts to provide an analysis of the activities of and attitudes towards Byzantine women in this period. Using evidence from sources as diverse as tax registers, monastic foundation documents, twelfth-century novels, historical texts, art history and the writings of women themselves, such as the hymnographer Kassia and the historian Anna Komnene, these papers elucidate the context in which Byzantine women lived. They emphasize the variety of female experiences, the circumstances that shaped women's lives, and the ways in which individual women were perceived by their society. Contributions focus on women's dress, their participation in the street life of Constantinople, their appearance in Byzantine fiscal documents, their monastic foundations, their engagement with entertainment at the imperial court, and the way heroines are portrayed in the Byzantine novels. Analysis of the writings of the hymnographer Kassia, the networking of Mary 'of Alania' and the ways she overcame the disadvantages of being a foreign-born empress, and the family values reflected in Anna Komnene's Alexiad, draw attention to specific problems. All these aim to expand our understanding of the circumstances that shaped women's lives and expectations in the Middle Byzantine period and to analyze the range of women's experiences, the roles they played and the impact they made on society. Contents: Editor's introduction; Changing functions of monasteries for women during Byzantine iconoclasm, Judith Herrin; Kassia the Nun c.810-c.865: an appreciation, Anna M. Silvas; Propriety, practicality and pleasure: the parameters of women’s dress in Byzantium, A.D. 1000-1200, Timothy Dawson; Taxing Sophronia’s son-in-law: representations of women in provincial documents, Leonora Neville; Mary ’of Alania’: woman and empress between two worlds, Lynda Garland & Stephen Rapp; Middle Byzantine family values and Anna Komnene’s Alexiad, Dion C. Smythe; Women in Byzantine novels of the 12th century: an interplay between norm and fantasy, Corinne Jouanno; Street life in Constantinople: women and the carnivalesque, Lynda Garland; Imperial women and entertainment at the middle Byzantine court, Lynda Garland; Bibliography; Index.